The IWWF believes that all athletes, staff and volunteers have the right to participate and develop in sport, in a safe and inclusive environment, free from all forms of discrimination, abuse, violence, neglect and exploitation. For young people, these rights are paramount. The IWWF is committed to devising and implementing policies to ensure that everyone within the broader remit of the organization accepts their responsibility to attempt to safeguard athletes and participants from harm and abuse by following procedures designed to safeguard them and reporting any concerns about their welfare through established pathways. 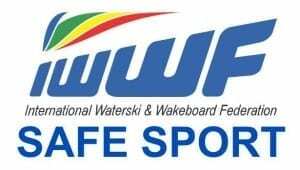 The aim of the IWWF Safe Sport Policy is to promote good practice, provide athletes of all ages with appropriate safety and protection whilst involved in the activities of the IWWF, and to allow staff and volunteers to make informed and confident responses to specific safeguarding and athlete/child protection issues. The complete and summarized versions of the IWWF Safe Sport Policy are now available.